Sunday, 10 March 2019, 12:20p.m. Police have charged a man with the murder of Denver Chance after a body was found at a home south of Auckland. The 41 year-old man, from Kingseat, was arrested by police outside a Mt Eden bar just after 7pm this evening. He will appear in the Papakura District Court tomorrow morning charged with the murder of Chance, who has been missing since February 24. 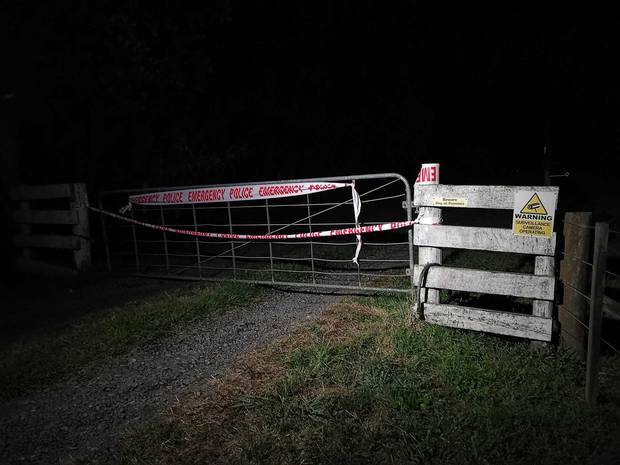 Gate of the property in Karaka, Auckland where Denver Chance was found last night. "Over the past 48 hours, the investigation team made significant progress as enquiries focused on the south Auckland suburb of Kingseat," said Detective Senior Sergeant Megan Goldie. Detectives carried out a search of an address in Kingseat, near Papakura, at 4pm this afternoon. A man's body was found at the address. While it has not been formally identified, police believed it was Chance. "Our thoughts are with Denver's friends and family tonight," Goldie said. "Our focus throughout the investigation was finding Denver and being able to provide his family with answers." "This is not the outcome any of us wanted, but at least we are now able to return Denver to his family and hold the person allegedly responsible for his death to account." Earlier today, police said they had obtained footage of Denver in Torpedo 7 on Cavendish Drive, Manukau on February 24, between around 4pm and 4.30pm. Other footage shows Denver at 4.41pm, turning out of Cavendish Drive across Great South Road, heading south. "We also have CCTV footage and phone data which confirm Denver was in the Kingseat area between 5-6pm that day," Goldie confirmed. "Police have been working in that area over the weekend, door-knocking and speaking with local residents in case they saw anything of interest, including sightings of Denver's car, a red Nissan Skyline - registration LGH476." Police said they were still appealing for anyone with information to contact them on 0800 FIND DC.